Powerful desktop software for downloading, viewing, printing and storing measurement data. No internet connection required. PosiSoft Desktop stores measurement data on your PC/Mac for viewing, sharing, analysing and reporting. HiLo mode compares measurements against user-specified limits (PosiTector 6000, SPG and UTG models only). 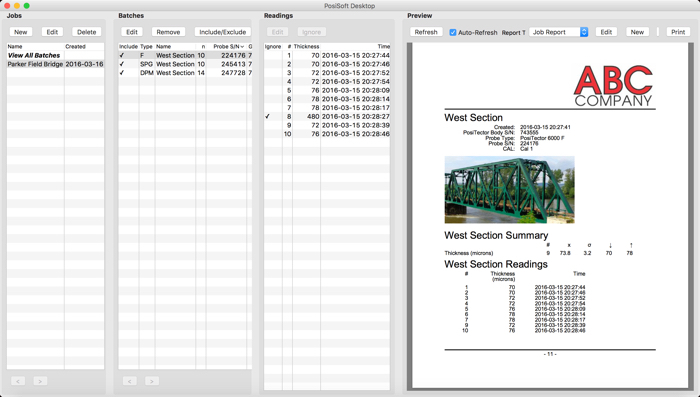 HiLo parameters are identified on generated reports. Save readings as comma separated value (.CSV) files which can easily be imported into supporting applications such as documents, spreadsheets and databases. NEW PosiTector DPM environmental monitor feature allows continuous monitoring of one or more dew point meters in a centralised location. 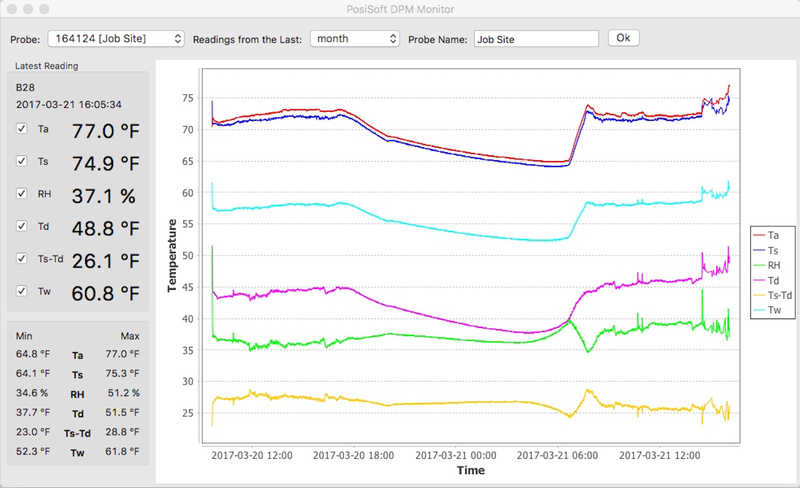 The PosiSoft DPM Monitor charts environmental readings from PosiTector DPM instruments. When auto log mode is active and the PosiTector DPM is connected to PosiSoft.net , live environmental data is graphed.